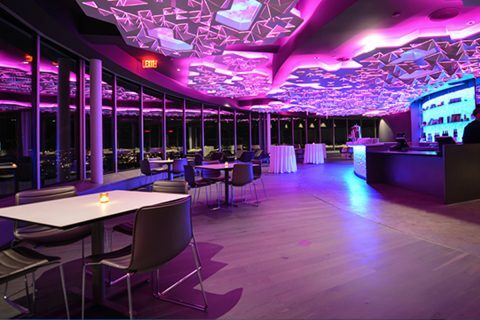 Reunion Tower has multiple spaces to host your next event including the Geo-Deck, Cloud Nine and Five Sixty by Wolfgang Puck. The GeO-Deck features panoramic views of Dallas, interactive activities, telescopes, and an outdoor deck that wraps around the entire floor. Ideal for birthday parties, field trips, or any other group outing, GeO-Deck is a unique space to host your group! Cloud Nine Cafe is the perfect spot to celebrate any occasion! 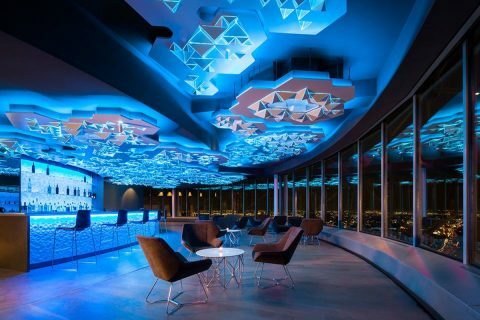 Featuring food and beverage service, a 360 degree rotating floor, and incredible views of downtown Dallas, it will take your next party or luncheon to the next level. 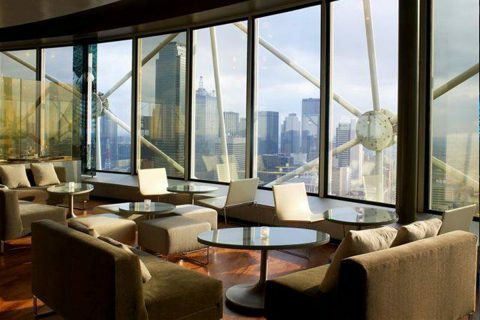 Five Sixty restaurant by Wolfgang Puck is an ideal space for lavish lunches or smaller group events. Featuring a 360 degree rotating floor, a sleek, modern interior, and an Asian-inspired menu by the inimitable Wolfgang Puck, Five Sixty is ideal for corporate meetings and lunches.